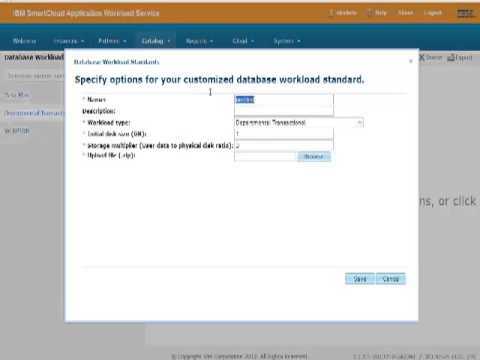 In this article, I will explain how to add the Worklight Database Workload Standard on IBM SmartCloud Application Workload Service. Go on Worklight Trial on SmartCloud Application Service page to get register!This is a new step required by the version 6.0 of the IBM Mobile Application Platform Pattern Type.From the on-line help we find this definition for the DB Workload Standard. 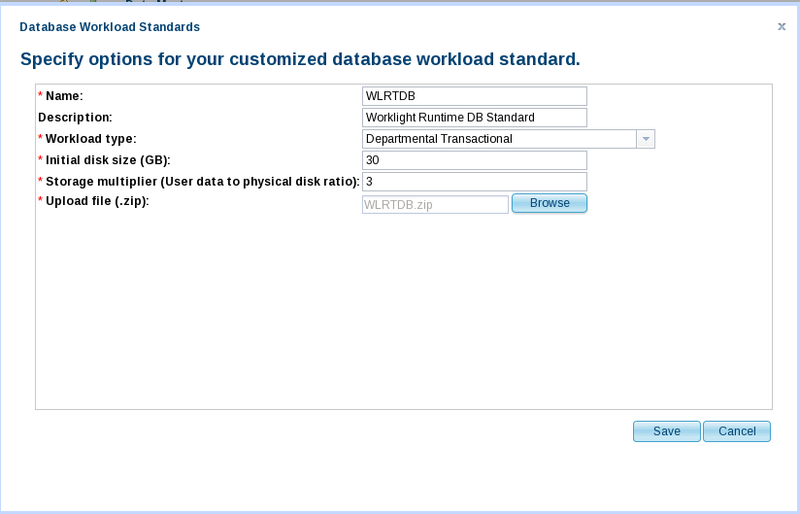 A workload standard is a set of configuration settings you can use to deploy a defined type of database. You can use IBM SmartCloud Application Workload Service to change some of these configurations and create customized workload standards. The IBM Mobile Application Platform Pattern Type 6.0 uses two DB Workload Standard, one for the “Runtime” and another for the “Report” database. Each database definition are in a zip file, you can find them in the pattern type zip file you downloaded from the trial website. These zip files are WLRTDB.zip and WLRPTDB.zip. 1) From the SCAWS console, select “Catalog”->”Database Workload Standards”. 2) Click on “+” to import a new standard. 3) Provide a name. I recommend to use the same name as the zip file and thus respectively WLRTDB and WLRPTDB. Specify the space available when the database is first deployed. The value must be an integer from 0 to 500. The DB Workload Standard will appear in the list. Now you are ready to create a new pattern based on the IBM Mobile Application Platform Pattern Type 6.0 and set the correct DB Workload Standard for each DB (Runtime and Report). This entry was posted in IBM Cloud, IBM SmartCloud Application Services, Worklight on SCAS and tagged #ibmcloud, #SCAWS, #Worklight by ITDoVe. Bookmark the permalink.